Toyota Motors said Wednesday it was recalling 2.77 million cars worldwide, its second major recall in as many months. The recall mainly covers certain Prius models and was prompted by a problem with the steering intermediate extension shafts, which can suffer damage if sharp turns are made at slow speeds. A second problem with electric-powered motor pumps affected some 630,000 vehicles, the company said. The fault may result in a failure of hybrid systems during operation. The automaker said 670,000 of the recalled cars were sold in the United States. Owners will be notified by mail starting in December. 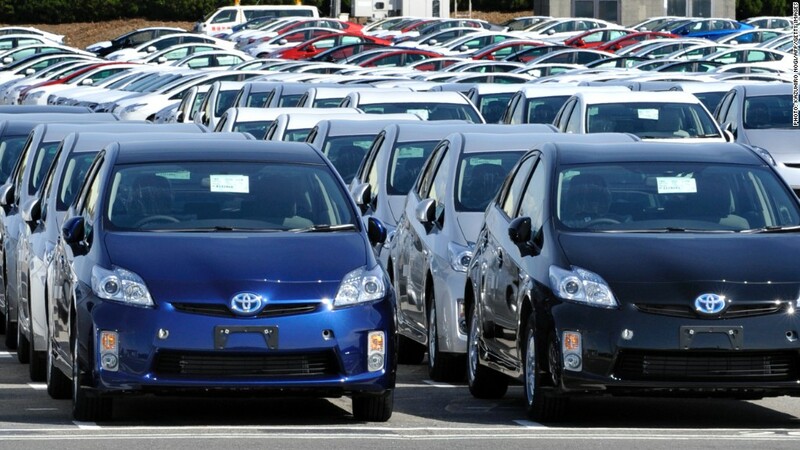 An additional 1.5 million vehicles were being recalled in Japan, along with 496,000 in Europe. A spokesman for the company in Tokyo said the recalled Prius cars were of the model's second generation. Certain Corolla models are also affected. Wednesday's recall is the latest embarrassment for Toyota, which last month announced a recall of 7.43 million cars due to a power window problem that posed a fire risk. That recall was the largest issued by an automaker in years. In 2009 and 2010, more than 8 million Toyota units were brought in for a potential problem involving sticky accelerator pedals. In that case, dealers were told to suspend sales of eight models, and production of those models stopped temporarily.